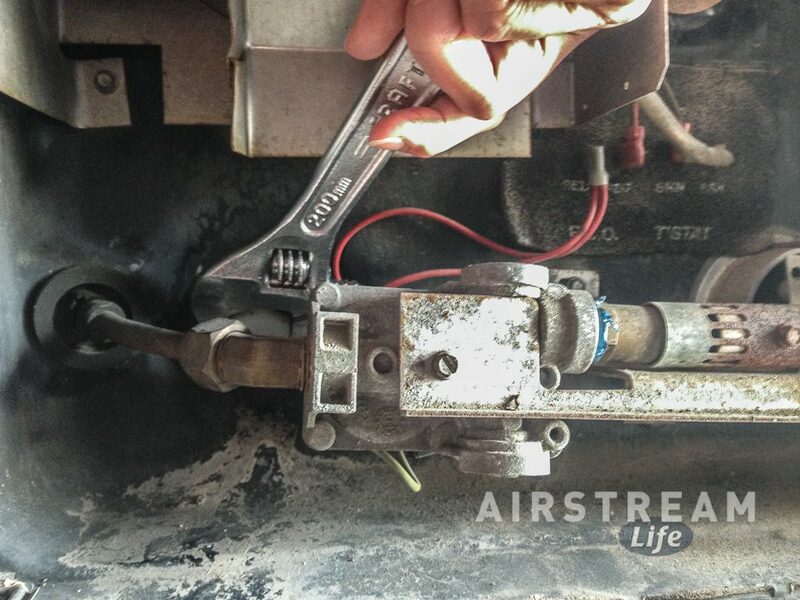 Every Airstreamer should know how to change a tire, but many don’t. That’s why we do tire changing demonstrations at most of our Aluma-events. 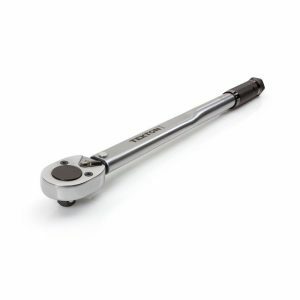 Lots of people want to learn the technique, but there is usually one point at which they start to resist the idea: they don’t want to buy a torque wrench. I can understand why. A good quality torque wrench is a moderately expensive tool, and if you don’t need to work on cars regularly it will probably sit in your Tire Changing Kit most of the time. Also, people often wonder why they need a torque wrench for their Airstream trailer wheels, when they don’t apparently need one for their car. The reason is that the aluminum alloy wheels found on all late model Airstreams are prone to allowing lug nuts to loosen in the first 50 to 100 miles of towing. 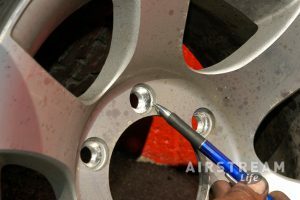 To prevent them from completely coming loose, you need to check them with a torque wrench a couple of times, any time that the wheel is removed. Each lug nut must be tightened to a specific tightness. Usually this is about 110 foot-pounds (ft-lbs) of torque for aluminum alloy wheels. (If you use metric specifications that’s 150 Newton-meters.) To get the correct torque spec for your wheels, check the Specification page in your Owner’s Manual or ask Airstream about the wheels you have. The wheel studs (the part the lug nuts thread on to) are designed to stretch a tiny amount to clamp the wheel on. 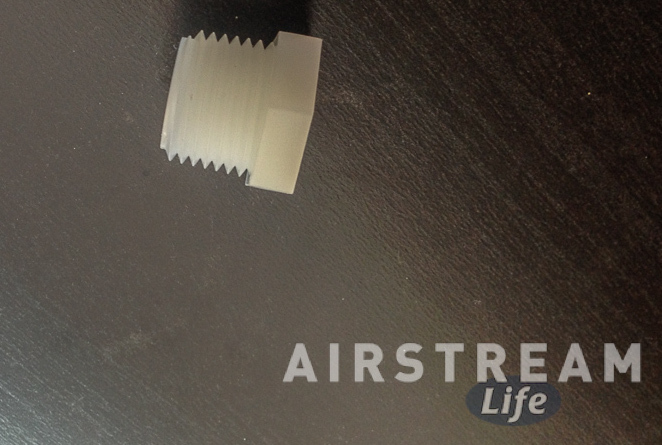 This elasticity of the stud is what helps to secure the wheel on the hub. If the lug nuts are put on too tightly, the threads on the wheels studs can stretch beyond their elastic range. In the extreme, this can cause the studs to break and the wheel will come flying off. Too loose, and the lug nuts will gradually work their way loose, which is just as bad. 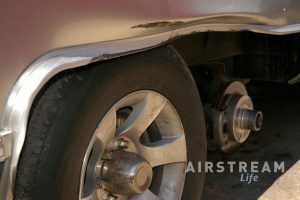 When a wheel comes off, the wheel is generally damaged beyond repair, and the Airstream tends to get collateral body damage that can run into the thousands of dollars. That’s why you don’t want to guess at the proper tightness. Even if you work with cars every day, you can’t accurately estimate how tight those nuts should be. 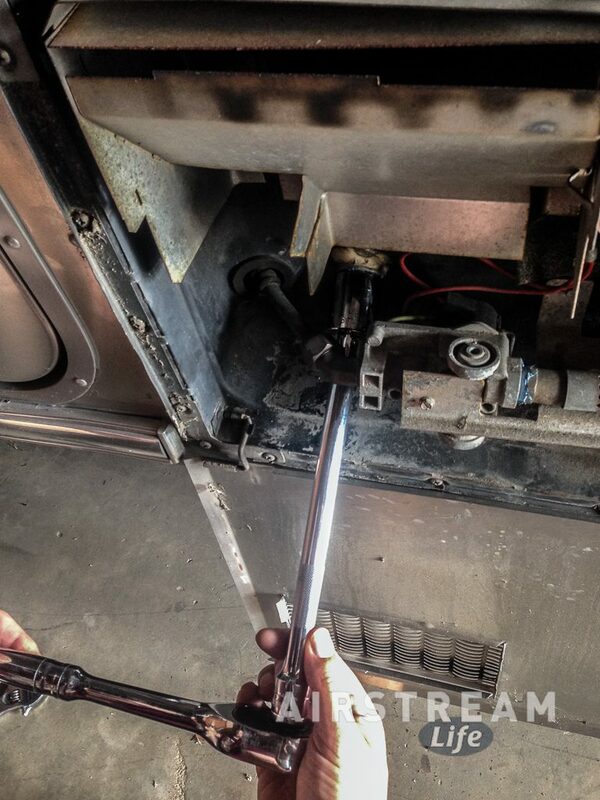 The torque wrench is the way smart professionals verify the job is done right. Before putting lug nuts on, check that the threads are clean (no dirt or grease). Wipe any contaminants off with a paper towel or clean rag. Don’t use any kind of lubricant (oil, grease, moly, anti-seize compound) on the studs. Those things will make the torque reading inaccurate and you’ll end up over-tightening the nuts. 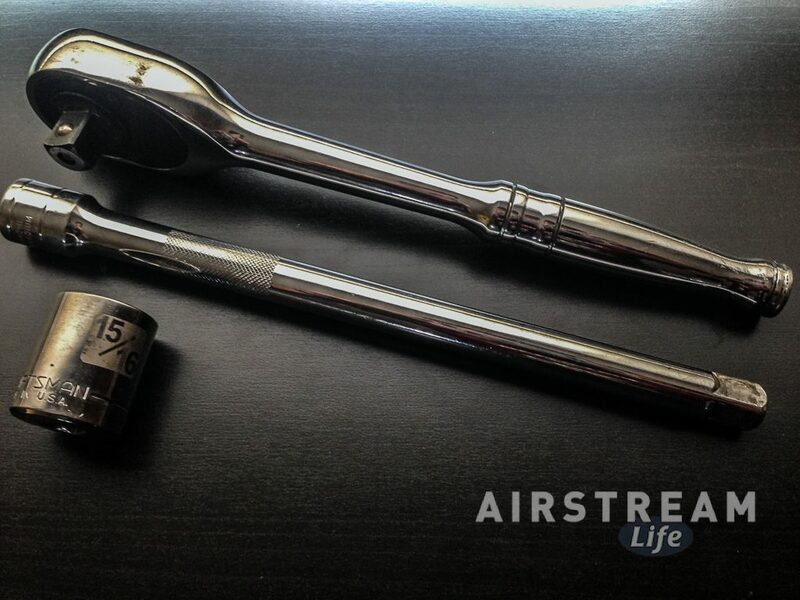 If you need a good torque wrench, we offer an excellent choice at a good price in the Airstream Life Store. 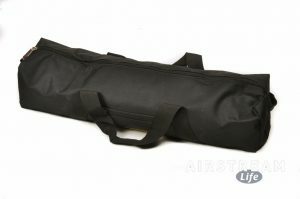 If you need a full set of tire changing tools, we have a complete kit with instructions and a carry bag.